Japanese people love all things かわいい!!! (cute – kawaii) and one of the best-known embodiments of Japanese cuteness is found in the adorable and unforgettable characters of the Studio Ghibli animations. So which of the Ghibli creations rate as the top cutest? Kawaii Rating: 9/10. 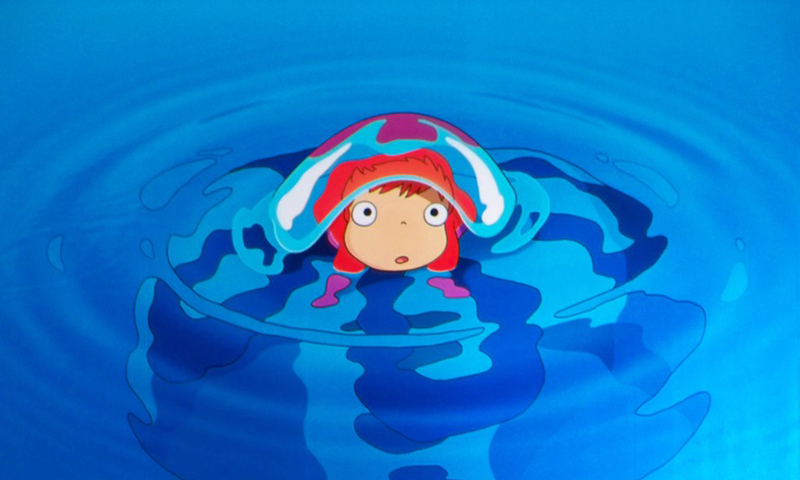 While she ends the film as a magical human girl, Ponyo starts out as a fish – the cutest little fish you can imagine. The best adjective to describe this ginger ball of cuteness is ‘squishy’. You just want to cuddle her, and, of course, Ponyo is a much better name than Brunhilde, her original name. Kawaii Rating: 7/10. Jiji is the sleek companion of Kiki – a witch in training. The portrayal of Jiji is remarkably different in the American version of the film compared to the Japanese original. The Jiji I know and love is a sweet, sarcastic, witty rebel, voiced by Phil Hartman. However, in the Japanese version Jiji has a much more serene and humble character – and he is voiced by a female voice actor, as cats often are in Japanese movies. Kawaii Rating: 6/10. 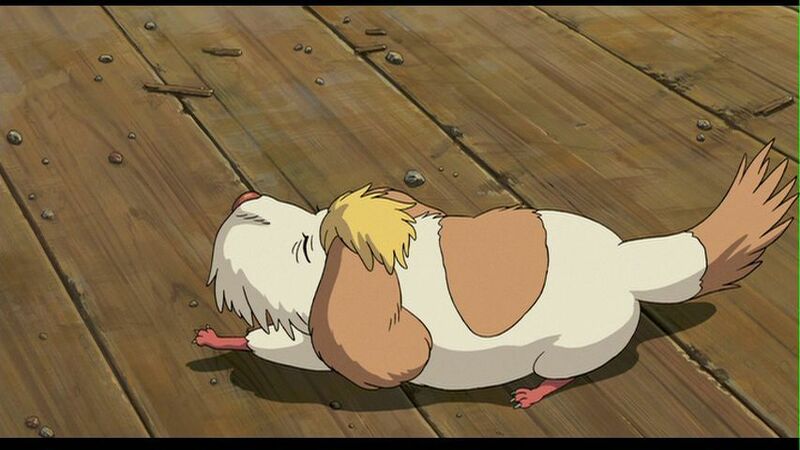 This chubby character also scores bonus points for being the trademark of Studio Ghibli. His pensive facial expression and cuddly appearance make him number one contender for being an excellent plushie toy – a cuddly toy version of Totoro even makes a guest appearance in Kiki’s Delivery Service as well as in Toy Story 3. Kawaii Rating: 6/10. While Moon has little more than a cameo appearance, his role in the film is instrumental in bringing together the protagonists Shizuku and Seiji. He has a mysterious and mischievous air about him, and can be recognised by the trademark patch over one ear. Kawaii Rating: 5/10. While this lump-of-fluff looks a bit sorry for himself, there is something very cute about the way Heen lies pancake-flat on the floor, flicking his tail up into the air. He’s the kind of lazy dog who easily exasperates you, but whom you can’t actually get angry at because he looks so pathetic. There are so many cute characters in the Studio Ghibli films, and the ones listed here don’t even include the human characters! If you are yet to find a favourite cute companion from the Ghibli films, I recommend you get watching – pronto! Which Ghibli female character suits you most? Welcome to Yokohama Sea Paradise, the biggest aqua park around!